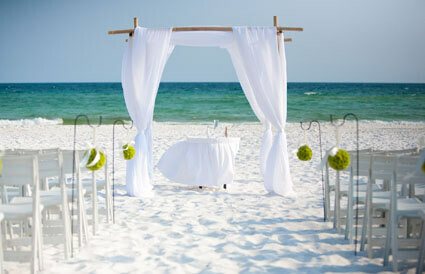 Chances are, you’re considering a ceremony directly on the beach. 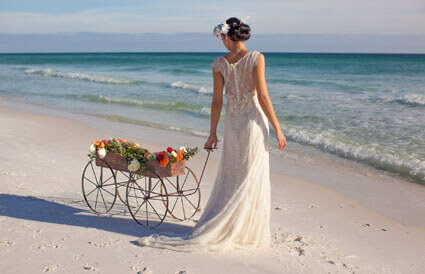 (Destin is, of course, famous for its sugar-white sand and emerald-green water, making it a sought-after destination for couples planning Florida weddings.) We can help you with that. In fact, it’s our specialty: Beyond embellishing the scene (fresh flowers and arbors are favorites), we’ll ensure your guests’ comfort and time your ceremony with the sunset, should you desire. Perhaps you’re imagining a poolside ceremony surrounded by swaying palms, or a deck reception with a view to the beach below. Maybe you’re going for all-out elegance – our ballrooms are ideal in that case. With 40,000 square feet of flexible indoor space in our ballrooms, special event rooms and hospitality suites, and 20,000 square feet of flexible deck space, we can accommodate groups of a few or a thousand. 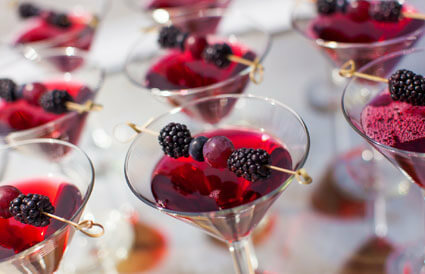 When it comes to catering, we might surprise you with our menu of “extras,” from martini bars to fondue fountains. In between, wow your guests with passed hors d’oeuvres, a seafood selection or chef-carved meats – we’ll use our most-requested set-ups as a starting point to customize your menu, featuring desserts created by our in-house pastry chef. Many of our couples consider Florida beach resort weddings for the opportunity to gather with guests before and after the ceremony. At Hilton Sandestin Beach, our amenities can help you create the ultimate wedding weekend – award-winning golf; world-class fishing; one-of-a-kind shopping; our onsite Serenity by the sea Spa – all in an area that’s easily accessible via air or highway travel. (And did we mention Destin sees some-340 days of sunshine each year?) 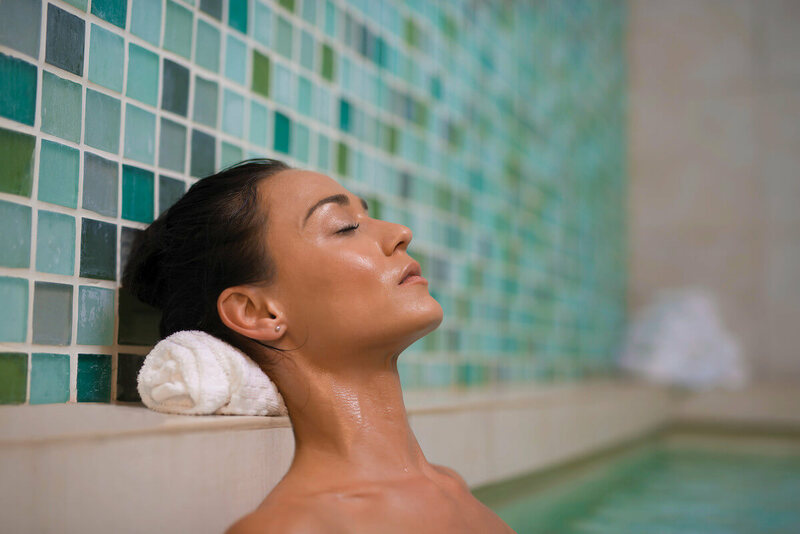 You can even welcome your guests at a bonfire beach party, reserve our spa’s “Zen Den” for a bridal brunch or host your rehearsal dinner in our Four-Diamond restaurant, Seagar’s Prime Steaks & Seafood. A picture-perfect location, versatile spaces indoors and out and all the extras and amenities you and your guests deserve: We invite you for a visit to see what makes Hilton Sandestin Beach a top choice among Florida wedding resorts. 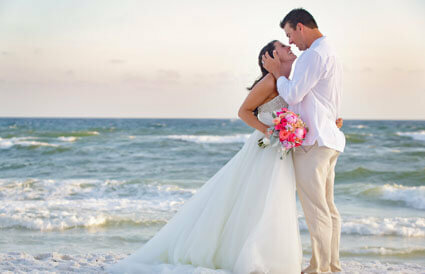 Our venue at Hilton Sandestin Beach Golf Resort & Spa was absolutely amazing! Not only was it perfect, but the service we had was also beyond what we expected. We could not have picked a better place! 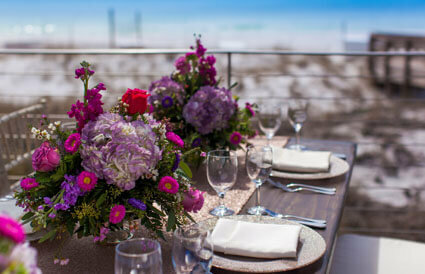 Experience some of guest's finest beach weddings and receptions first hand!